CARY, N.C. — The runaway train also known as the U.S. women’s national team continued its assault its opponents in the 2018 concacaf Women’s Championship Sunday night. 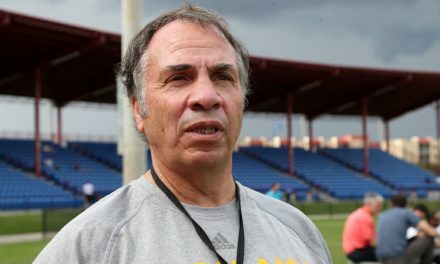 The Americans found themselves on the verge of qualifying for the semifinals of the competition after registering an emphatic 5-0 win over Panama in a Group A match at Sahlen’s Stadium at WakeMed Soccer Park. 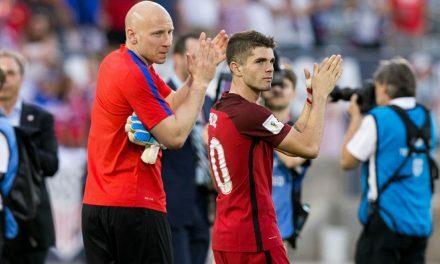 If Mexico tied or drew with Trinidad & Tobago in the second game of the twinbill, the Americans (2-0-0, 6 points) would clinch a berth in next week’s final four in Frisco, Texas. Panama (1-1-0, 3), which defeated T&T in Thursday night’s opener, also can move on, depending on the remaining matches. Carli Lloyd paced the defending Women’s World Cup champions with her eighth international hat-trick. Sam Mewis, who plays at the stadium for the National Women’s Soccer League champions North Carolina Courage, and Christen Press also tallied. 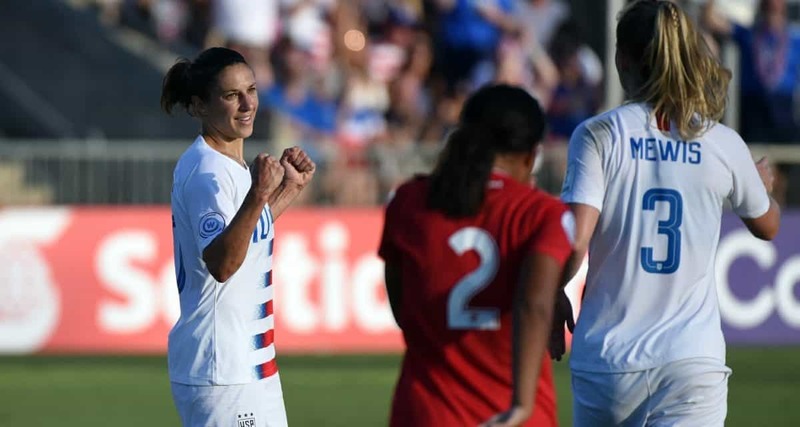 The Americans did not miss a beat as head coach Jill Ellis made nine changes from her team’s 6-0 triumph over Mexico Thursday. Only goalkeeper Ashlyn Harris and midfielder Julie Ertz were the remaining starters. Yenith Bailey, Panama’s 17-year-old goalkeeper, put on a showcase, making several fabulous saves as she could only slow down a relentless attack. Five minutes after the opening whistle, Mewis headed in a Press corner kick to the far post. Lloyd made it 2-0, heading home another Press corner in the 23rd minute before making several quick moves to free herself before firing home from 15 yards in the 29th minute. Press herself found the range in the 32nd minute, beating two defenders before rounding Bailey. Lloyd tallied her third goal in the 48th minute, converting Rose Lavalle’s free kick for a 5-0 advantage and for her 106th international goal. Second-half substitute Mallory Pugh thought she had a sixth goal for the red, white and blue in the 73rd minute, scoring from seven yards with Bailey on the ground. More than two minutes after the ball hit the back of the net, the referee conferred with the fourth official and took the goal off the scoreboard. There is no Video Assistant Referee at this competition. 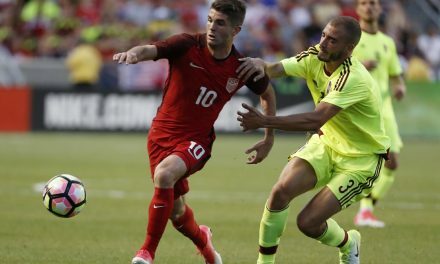 Group A action concludes Wednesday night as the U.S. faces Trinidad and Mexico play Panama.